Iceland from air is one of the most remarkable experience that you can ever have: it gives you a unique opportunity to see the most popular touristic sights from a bird’s view and enjoy the stunning panoramic view of Iceland. 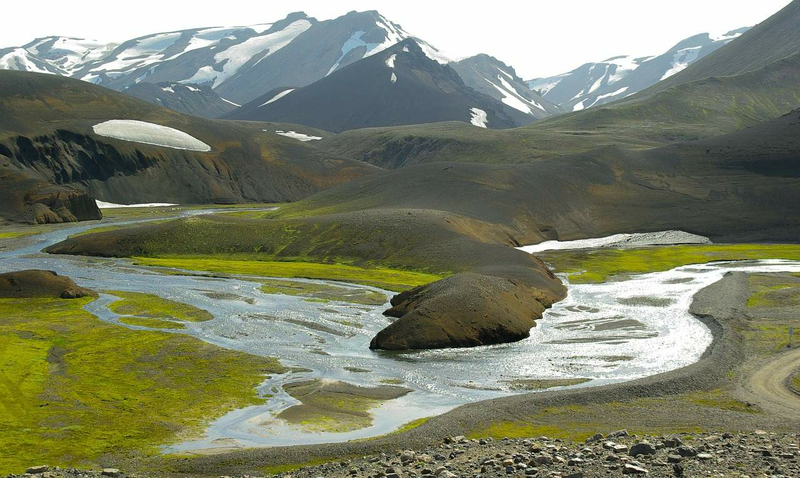 This helicopter tour will take you on a 4 hour adventure over Golden Circle and Landmannalaugar. It will cost 159.800 ISK (approximately €1130) per person, which includes Pilot-guide or Bell helicopter and packed lunch. The journey can be booked throughout the year and can include 3-8 people. The departure takes place from Reykjavík Domestic Airport at 9am. The helicopter tour starts with the stunning Golden Circle sights, such as National park Þingvellir, Gullfoss waterfall and Geysir geyser. Also you will have a chance to see geothermal power stations Hellisheiði and Nesjavellir. Further you will be able to enjoy spectacular view on Hekla volcano and Landmannalaugar. The latter is famous for its colourful mountains and the helicopter tour will give you a chance to get a perfect panorama of this area. Heading from geothermal area near Hrafntinnusker towards iconic volcanic black sand beaches, you will enjoy the landscapes of Myrdalsjökull glacier and Þórsmörk. Also you will have a look at infamous Eyjafjallajökull, which eruption on 2010 caused chaos among commercial flights in Northern Europe. On the way back to Reykjavik, you will have an opportunity to explore the South coastline and enjoy the panoramic view of this part of Iceland. We are absolutely sure that this 4 hours helicopter tour will leave you with unforgettable memories and will become one of the biggest impressions of Iceland!